MENLO PARK CITY ELEMENTARY SCHOOL DISTRICT. Administrative Law Judge (ALJ) Clara L. Slifkin, Office of Administrative Hearings (OAH), State of California, heard this matter in Atherton, California, on May 25-27, 2010, and June 1-2, 2010. Attorney Susan Foley represented Student. Student’s parents (Parents) and Linda Hughes, Student’s advocate, attended all hearing days. County Counsel John Nibbelin represented Menlo Park City School District (District). Attorney Nibbelin’s law clerk Marianne Watson attended the first day of hearing. District’s Director of Student Services Olivia Mandlik attended all hearing days. Student filed the due process hearing request (complaint) on October 27, 2009. On February 17, 2010, OAH issued an Order Granting Student’s Motion to Amend the Complaint, and reset all timelines. On April 5, 2010, a continuance was granted for good cause. At the conclusion of evidence on June 2, 2010, the parties requested, and were granted, a continuance until June 24, 2010, to prepare closing briefs. The matter was submitted and the record closed upon receipt of closing briefs on June 24, 2010.
d) appropriate occupational therapy services. 3. Whether District denied Student a FAPE when it revised its April 29, 2009, offer in a May 21, 2009, letter without holding an IEP meeting, thereby denying Parents meaningful participation in the IEP process. c) appropriate occupational therapy services. 1 All issues arise under the Individuals with Disabilities Education Act (IDEA), title 20, United States Code, section 1400 et seq. and related state statutes. The ALJ has rephrased the issues for clarity. At hearing, Student withdrew issue 1.a (District’s offer of an appropriate placement for 2008-2009 school year). The issues and remedies in this matter are limited to those arising before the filing of the amended complaint given the due process notice requirements. (See Ed. Code, § 56502, subd. (i) [absent agreement to the contrary, issues at due process hearing limited to those raised in the request]. ) Therefore, Student’s placement for the 2010-2011 year is not an issue to be determined by this ALJ. 2 Because Student’s contentions regarding the April 29, 2009, IEP and the May 21, 2009, letter relied on the same evidence and legal principles, they will be considered together in the Legal Conclusions. 3 All subsequent citations to the Code of Federal Regulations are to the 2006 edition. 1. Student is a seven-year-old girl, and at all relevant times she lived within the District. She is eligible for special education as a Student with a speech or language impairment (SLI). 2. As a toddler, Student’s developmental delays in walking and talking concerned Student’s mother (Mother). Student did not walk independently until she was 22 months, and she said her first word at three years of age. Her knowledge base was delayed and she was not able to identify colors and body parts until age four. In addition to her global developmental delays, Student had severe motor speech problems, and was not verbal until she was more than three years of age. Her babbling and sound production was abnormal. 3. Student was diagnosed with childhood speech apraxia, an inability to plan and execute motor movements for the reproduction of speech. Student attended an infant development program until June 2006, when she turned three years old. In summer of 2006, Parents enrolled Student at Associated Learning and Language Specialists (ALLS) Preschool where she received speech and language services in speech production, speech movement patterns, and adaptive augmentative communication. 5. The IEP team offered Student specialized academic instruction at ALLS, a nonpublic agency (NPA). District also offered Student related services: 120 minutes per week of NPA speech and language services (one hour pull-out and one hour push-in); and 60 minutes per week of NPA occupational therapy (OT). Student’s parents agreed with District’s offer and consented to the IEP. However, Parents voiced their concerns about Student’s delay in communication and the communication devices used. The IEP team agreed with Parents’ request that it conduct an assistive technology and adaptive augmentative communication (AT/AAC) assessment to determine Student’s best mode of communication. District proposed that Ms. Fletcher conduct this assessment during the 2007 extended school year (ESY). 6. On February 27, 2008, the IEP team met to discuss Student’s transition to District’s preschool program and the results of the AT/AAC assessment. The IEP team reviewed Student’s goals in the areas of pre-academic, speech and language, and occupational therapy. The team agreed that Student made progress on all of her goals. Student’s NPA preschool teacher proposed two new goals in the areas of expressive language related to using a communication book and imitating vocalizations. The team agreed to add these goals. 7. The IEP team reviewed Ms. Fletcher’s February 27, 2008, Progress Report and AAC assessment. Ms. Fletcher graduated from Louisiana Tech University (Louisiana) with a bachelor of arts in speech and language pathology. She received a master of arts in speech and hearing science from Louisiana in May 2000. From August 2000 through August 2003, she was employed as a speech and language pathologist at the Achieve kids and Spectrum Center. From August 2003 through August 2006, she was employed as an AAC specialist at the Bridge School in Hillsboro, California. From August 2006 through the present, she has been employed by ALLS as both a speech and language therapist and an AAC specialist. She was a state-licensed speech-language pathologist with a certificate of clinical competence and a certificate in assistive technology. Ms. Fletcher had over 10 years of experience in speech-language therapy, AAC and special education. She reported that Student received communication therapy four times a week for a total of two hours per week in both direct and indirect sessions that included language, speech production and augmentative communication therapies. She also reported that Student attended an intensive language-based preschool program at ALLS. Ms. Fletcher administered the Preschool Language Scale, Fourth Edition, and found that Student’s receptive language skills were at the 2.3 age level and her expressive language skills were at the 1.4 age level. Ms. Fletcher noted that when comparing Student’s auditory and expressive communication scores Student has more skills in the area of receptive language than in the area of expressive language. She reported that Student’s modes of communication included verbalizations, gestures, word approximations, signs, body language, facial expressions, picture symbols both in her low-tech communication book and in her environment, and voice output devices. In her report, Ms. Fletcher explained that during the past six months Student had been using a communication book that consists of categories of items depicted by line drawings, and Student is still unfamiliar with many of the drawings. 8. Ms. Fletcher reported that Student participated in a variety of activities (e.g., circle time and play time) throughout her day that required speech or voice output for full participation. She found that Student used gestures, word approximations, signs, body language, and picture symbols as her primary means of communication and it was difficult for people to understand Student. In her report, Ms. Fletcher recommended that Student use a voice output communication aid (VOCA), because Student had a significant desire to communicate and interact, and it would help her to be more independent. Specifically, she recommended that District purchase a Springboard Lite because it has a number of features designed to meet Student’s needs: digitized speech capability; expandable vocabulary; graphic symbol sets; sturdy case; light weight; and a bright display that works both indoors and outdoors. Finally, Ms. Fletcher recommended that Student have a step-by-step communication aide to help her to participate in spur-of-the-moment classroom activities such as saying a repeated line during a joint book reading of an unfamiliar book. The IEP team agreed with her recommendation to provide Student with a VOCA and District agreed to purchase the Springboard Lite for Student’s use. 9. At the February 2008 IEP, the team also reviewed and discussed the reports of private speech therapists Jan Buchwald and Lucia Pasquel-Lefebvre and their work on speech production and oral motor development. Parents paid for Ms. Buchwald and Ms. Pasquel-Lefebvre’s speech and language services. Ms. Buchwald wrote that Student made progress and was able to follow two-step commands when they were contextual. Ms. Pasquel-Lefebvre wrote that Student’s motivation and desire to participate improved. She reported that Student continued to need improvement in the areas of attention, concentration and endurance. During this discussion, Student’s mother stated it would be her “dream” for Student to receive speech and language services in co-treatment with OT services. 10. For the 2008-2009 school year, the IEP team offered Student placement in the District’s preschool class. District’s Preschool Specialist Camper described the support and services provided in this classroom: one preschool specialist who was also a speech therapist; three para-educators; an occupational therapist; a speech therapist to provide individual/small group therapy; and a moderate/severe disabilities specialist who provides direct support and consultation services for students with significant disabilities. The preschool team worked collaboratively and used a trans-disciplinary approach (e.g., the occupational and speech therapists delivered services in class at the same time). In response to District’s offer, Student’s advocate Linda Hughes (Advocate) voiced her concern about Student’s transfer to a new placement and stated that Student would regress because she had difficulty with transitions. 11. District staff, Parents and other service providers agreed to reconvene on April 30, 2008, so that the parties would be able to visit placement options and to conduct Student’s annual review. In the interim, Inclusion Specialist Mathews would observe Student at the ALLS preschool. Student’s parents would observe District’s services at its new Children’s Center; District’s general education kindergarten; and a District special day class (SDC) for students with moderate to severe disabilities. In addition, Student’s NPA speech therapist and preschool teacher would develop one supportive objective for each of the new IEP goals agreed upon at this IEP meeting. 12. On April 30, 2008, District reconvened the IEP team to discuss Student’s placement and services for the 2008-2009 school year. Student’s parents and Advocate, preschool teacher Justyna Naskrecka, ALLS Occupational Therapist Catherine Buckman, ALLS Speech Therapist Fletcher, and ALLS Clinical Director Liz Field reported on Student’s progress at ALLS. District’s Speech Therapist Dawn Edgren, kindergarten teacher Erika Galvan, Inclusion Specialist Mathews, preschool teacher and Speech Therapist Camper, Occupational Therapist Brie Weinand, School Psychologist Walton, and Director of Student Services Olivia Mandilk reported on District’s perspective. Because the team had reviewed Student’s progress reports and private assessments at the February 27, 2008, IEP meeting, the discussion regarding Student’s progress at this meeting was brief. 13. The IEP team reviewed an April 21, 2008, report written by Dr. Heidi Feldman, Medical Director, Developmental and Behavioral Unit at Lucille Packard Children’s Hospital in Menlo Park. Dr. Feldman reported that Student has childhood apraxia of speech. Dr. Feldman found that Student has a severe speech motor disorder such that she can only make a few sounds, primarily in imitation rather than in spontaneous production. She also reported that Student has hypotonia, which affects her overall movement pattern and her facial movement patterns. Dr. Feldman noted that Student’s strength was in her social skills. She enjoyed being with people, being outdoors, and dancing. She was enthusiastic, friendly and affectionate. “Unfortunately, she does not have substantial amounts of opportunity to interact with typically developing peers outside of her family and play dates.” In examining Student’s ALLS program, Dr. Feldman opined that the missing element of the program is some opportunity to interact with typical children her age. The stimulation and exchange with typical children is an important component of a program because it would improve her communication and social skills. 14. Dr. Feldman’s report contained a summary of Speech Therapist Maria Morgan’s assessment of Student and her recommendations on Student’s communication program. Her recommendations are as follows: (1) model two-word phrases using words from Student’s spontaneous vocabulary (30 words); (2) keep a list of Student’s spontaneous utterances and work with the speech pathologist to develop an expressive vocabulary; (3) look for play dates with one other child or with one slightly older child; (4) continue speech therapy at least four times per week, at least 30 minutes per session and emphasize speech pathology; and (5) continue to work with the speech pathologist regarding augmentative communication and improving comprehension. 15. The IEP team discussed Student’s communication development. The team noted that Student made good progress in her expressive language skills as demonstrated by her: using 30 different signs independently and spontaneously at school; imitating sounds and word approximations during the school day; using her communication book to request items throughout the school day. Although Student made some progress, she continued to require adult assistance in order to develop her verbal skills as well as her ability to communicate using assistive devices (e.g., the communication book, Springboard Lite) as her communicative needs are quite extensive and complex. The team agreed that Student’s receptive skills improved during this school year as she is able to more consistently follow adult direction, respond to adults and peers and participate more independently in group instruction. The team noted that Student has severe expressive language needs and moderate receptive language needs. However, her therapists expressed concern because her progress was hampered by problems of attention, endurance and cooperation, although she continued to improve in her willingness to play. Student’s mother reported that although she recognized some body parts and followed one-step commands, she did not know shapes and colors. The team also acknowledged that District provided the Springboard Lite to Student on April 23, 2008. 16. ALLS staff reported to the team that Student’s performance varied from day to day and she was monitored by an adult throughout her day. Staff also noted that Student had problems with transition and OT Adamson reported that Student finally became comfortable working with her after six sessions of therapy. Student’s speech therapist noted that she provides instruction in the clinic setting and then “push into” the classroom to support generalization of Student’s skills. 17. The IEP team reviewed and discussed occupational therapist Marnie Adamson’s April 28, 2008, progress report. Ms. Adamson’s report reviewed the scope of services, and the type of activities she provided: to promote greater gross motor control; to promote greater postural efficiency; to increase hand and arm strength; to increase sensory motor skills; to teach daily living skills (i.e., buttoning); and strategies to affect scissor usage, prewriting, and coloring. She reported that Student made progress in the following areas: increased postural muscle development; improved coordinated movements of upper extremities; improved ability to accept and utilize sensory media in activities that required touch, movement and sound; and improved hand function necessary to manipulate usage (crayons, pencils, scissors); and improved independent living skills (buttoning, zipping, snapping). Ms. Adamson wrote that Student made substantial progress on the following goals: improving fine motor and visual motor skills for more independence in class; improving fine motor and visual motor skills in prewriting activities; improving gross motor skills, postural control and balance to improve maneuverability from class to class; and improving fine motor and self-help skills. Student continued to have OT needs in the areas of postural muscle development, coordinated movements of the upper extremities, ability to plan and execute non-familiar tasks, and hand function necessary for manipulative usage and independent living skills. Ms. Adamson recommended that the services be provided for 60 minutes, one time a week. 18. Due to Parents’ concerns and Student’s need to “gain experience” in using the Springboard Lite prior to entering kindergarten, the team agreed to continue Student in ALLS preschool placement for the 2008-2009 school year. 19. For the 2008-2009 school year, the IEP team offered Student the following related services through an NPA under contract with the District at ALLS, consisting of 60 minutes per week of OT, and 120 minutes per week of speech and language. The speech and language was to be provided individually and in small group therapy in the classroom setting. Student contends that District did not offer her the intensity and frequency of speech and language, AT/AAC and OT services that Student needed to access her education. Student objected to the team’s offer of services and requested in addition to District’s offer, two 45-minute individual speech and language sessions per week (delivered at an NPA), one 60-minute individual OT session per week (delivered at an NPA. ), one 60-minute collaborative consultation meeting per month, and one 60-minute group meeting for coordination/administration of service provider per month. 20. On April 29, 2009, District convened Student’s triennial and annual IEP. Parents, Student’s Advocate, preschool teacher Naskrecka, ALLS Occupational Therapist Catherine Buckman, ALLS Speech Therapist Lucia Pasquel-Lefebvre, ALLS Speech Therapist Sasha Woodward, private speech and language specialist Janet Buchwald, and ALLS Clinical Director Field presented reports on Student’s progress at ALLS. Diane Mathews, Program Specialist, Jo Camper, preschool teacher and Speech and Language Therapist, OT Weinand, and School Psychologist Walton represented District. M. Shannon McCord, Ph.D. (Dr. McCord), an AT and AAC Specialist submitted a report but did not attend. School Nurse Pat Christie was unable to attend but stated that she would follow up with Parents. The purpose of this meeting was to review Student’s triennial assessments completed by District, to determine Student’s continued eligibility for special education, and to determine Student’s placement and services. 21. The IEP team reviewed and discussed Student’s Psychoeducational Evaluation dated April 25, 2009. In April 2009, School Psychologist Lisa Walton administered the Vineland Behavior Scales, Second Edition, an interview instrument that measures a student’s personal and social sufficiency according to her caregivers and identifies areas of strengths and weaknesses. Psychologist Walton informed the team that Student’s scores were variable with many areas measured significantly below developmental expectations in communication, daily living skills, and motor skills, and with some relative strengths in social skills. Student’s score on the communication domain was the lowest with receptive skills notably higher than expressive skills. She reported that Student was able to receptively follow simple one-step instructions, point to common objects in a book, demonstrate the meaning of the word “no,” and listen to a story up to five minutes. Expressively, Student displayed great difficulty in the area of communication but was now able to communicate beyond making noises. Student required prompting to speak. Her written skills were relatively undeveloped. Student was only able to identify one or more alphabet letters and distinguish them from numbers. 22. Psychologist Walton reported that she observed Student on April 1, 2009, at Student’s ALLS preschool class. She noted that Student was less distracted when she was engaged in a whole body exercise. The teacher asked Student if she had something to say and handed her the Springboard Lite. Student played with the device for a few seconds and put it down. Student’s teacher reported to the psychologist that generally Student used the Springboard Lite in the classroom to tell her teachers where she wanted to go. Psychologist Walton tried to administer the Test of Nonverbal Intelligence, Third Edition (TONI-III) to Student but Student was not able to focus on the task. The psychologist concluded that such standardized testing would not be valid. 23. In her psychoeducational report, Walton reported that District’s occupational therapist observed Student at ALLS on April 22, 2009, and District’s speech therapist and preschool teacher observed Student when she visited District’s preschool, Heritage Oak Children’s Center in Menlo Park (Heritage Oak) on April 24, 2009. 24. Psychologist Walton’s report recommended that Student continued to be eligible for special education under the “speech/language impairment” category based on her significant delay in language acquisition and subsequent development. She also recommended that Student’s delays in motor and self-help skills should be addressed through related services aimed at supporting her special education program. Finally, she recommended that the IEP team discuss options for placement that would appropriately meet Student’s intensive needs in the least restrictive environment as she transitioned to kindergarten in the fall of 2009. 25. At the April 29, 2009, IEP meeting, the team discussed Student’s placement for the 2009-2010 school year in District’s Learning Center program, a SDC for students with moderate to severe disabilities located at Encinal School (Learning Center), and daily inclusion in a general education kindergarten classroom during physical education, art, library science, music, lunch, recess, and the afternoon kindergarten session. Program Specialist Mathews advised the team that this program would provide Student with multiple opportunities to interact with typically developing peers, and would also provide intensive instruction to address Student’s language, motor and pre-academic needs. The Learning Center team would incorporate in a natural school setting Student’s language goals related to interacting with peers, play, and using the Springboard Lite. 26. At the meeting, preschool teacher Camper and Ms. Weinand discussed their observations of Student when Student visited District’s preschool, Heritage Oak. They reported that when Student first arrived at Heritage Oak she clung to her mother, but after five to ten minutes Student began smiling and laughing and seemed to be comfortable in this new environment. They also told the team that Student remained focused on preferred tasks and was more apt to attend if the task was fun, animated and paced to her liking. Ms. Camper reported that Student followed some directions and responded to preferred tasks (motion and active play.) Ms. Weinand reported that Student performed functionally during a play session. They reported that Student refused to participate in table tasks and her overall attention span was indicative of a younger child. They opined that Student would do well at District’s proposed placement. 27. At the April 29, 2009, IEP, the team offered Student specialized academic instruction for 1,050 minutes per week at the Learning Center, during the 2009-2010 school year, with daily inclusion in a general education kindergarten classroom for physical education, art, library science, music, lunch, recess, and the afternoon kindergarten session. The Learning Center teacher Mr. Ruth and the kindergarten teacher Ms. Bienaime were not at the IEP meeting. Program Specialist Mathews and Mother scheduled a visit to the Learning Center and the Kindergarten class for April 30, 2009. 28. At the IEP meeting, Parents expressed concern about the composition of the Learning Center class and the size of the kindergarten class. They also stated that the speech and language services and AT/AAC services would not meet Student’s need for intensive services. Student’s Advocate expressed concern related to the number of and the wide age range of students in the Learning Center and the lack of individual speech therapy time for Student. She explained that Student’s ALLS program provided Student a much more intensive speech program and more access to an AAC/speech therapist and language specialist at school. She said that Parents’ preferred placement was a kindergarten program at Arbor Bay School (ABS), an affiliate of ALLS. The Advocate said that ABS had an intensive speech and language program that Student needed to make progress. 29. At the April 29, 2009, IEP meeting, the IEP team discussed Student’s speech and language services for the 2009-2010 school year and AT/AAC services. Student’s preschool teacher Ms. Naskrecka informed the team that Student’s ability to follow directions improved. She reported that Student’s use of the Springboard Lite improved her ability to communicate, participation in class and her social skills. She emphasized that the collaboration among the speech and language specialist, speech and language therapist and occupational therapist, was helpful in maximizing Student’s progress. 30. At the April 29, 2009, IEP meeting, Speech Therapist Buchwald presented her speech and language report. Ms. Buchwald is a graduate of Northwestern University with bachelor of science and a master of arts degrees in communicative disorders-speech and language pathology. She is a State-licensed speech-language pathologist with a certificate of clinical competence from the American Speech-Language and Hearing Association (ASHA). For the last 24 years, she has been employed as a speech and language therapist in public schools and in private practice. From 1979 to the present, she worked for and directed Janet Buchwald and Associates, an NPA. From 1986 to the present, she has been a partner in Children’s Diagnostic Services, working with other professionals to diagnose and screen children with disabilities. She provided speech and language services to over 500 students and worked with about 50 children with apraxia. Ms. Buchwald has over 24 years of experience in speech-language therapy. 31. Speech Therapist Buchwald’s report was thorough, and supported by her work with and observations of Student, and the results of the Kaufman Speech Praxis Test for Children (Kaufman) that she administered to Student. The Kaufman confirmed that Student suffered from severe oral and verbal apraxia. Ms. Buchwald wrote that the pull-out and push-in services are effective because Student would be in a natural setting and her teachers are able to receive immediate feedback to encourage Student’s speech production. Ms. Buchwald reported that with the intensive therapy that Student received from Ms. Buchwald and from Speech Therapist Pasquel-Lefebvre, Student made some progress but failed to meet her goals in oral motor exercises, sound play, use of phonemes to shape real words, matching sorting and labeling colors, and use of spontaneous speech during therapy sessions accompanied by sign, gesture or Springboard Lite. She stated that Student required an intensive academic and therapy program to address all of her needs. She recommended to the team that District provide more intensive speech and language services than the two hours District has provided. However, she did not recommend to the IEP team the frequency and duration of such services. 32. Speech Therapist Buchwald recommended that Student’s providers collaborate to assure Student’s consistent progress. She informed the IEP team that Student is becoming more confident in her ability to communicate and her expressive vocabulary is now more than 50 words and short sentences. She further informed the team that Student is highly interested in social interactions and she uses speech to interact. She worked with Student in her classroom to work on speech production in a social context. 33. At the April 29, 2009, IEP meeting, Speech Therapist Buchwald presented Ms. Pasquel-Lefebvre’s April 23, 2009, Speech and Language Report. Ms. Pasquel-Lefebvre’s report was thorough due to her extensive work with Student on her oral motor deficits. She reported that Student has made good progress in the area of receptive language (including engagement and attention) and expressive language and speech (including oral motor movement patterns and word-shaping). Her progress was due to improvement in her ability to focus and to produce sounds more effectively and efficiently, and because she needed less redirecting. Ms Pasquel-Lefebvre wrote that Student’s deficits were her ability to transition to pull-out therapy and her anxiety and difficulty coping with change. Therefore, Student was more successful in a push-in model that allowed Student a more natural environment. Additionally, staying with her peers motivated Student. 34. Ms. Pasquel-Lefebvre wrote about Student’s April 23, 2009, assessment, using the Preschool Language Scale, Fourth Edition (PLS-4). Student’s language skills were significantly delayed, but Student’s communicative intent had improved. She recommended that Student’s services focus on phonological production and auditory comprehension. She also recommended that Student required pull-out services and a significant amount of practice to develop functional speech skills. Ms. Pasquel-Lefebvre wrote that the progress Student had made since beginning therapy was due to the intensity of this service, in collaboration with Student’s classroom teacher, the NPA speech and language provider, and the private speech and language providers and occupational therapists. She concluded that this clinical/educational model within a multidisciplinary setting was extremely beneficial to Student’s progress and should be considered when choosing her educational placement. 35. Speech Therapist Pasquel-Lefebvre’s report also reviewed Student’s current speech and language goals, and proposed new goals. She reported that Student continued to work on goals developed in October 2007. She wrote that Student’s speech therapist should continue to work on developing normalized resting posture, tone and jaw strength, producing functional words, tactile input to facilitate imitation of novel words, and categorizing and vocabulary development. Ms. Pasquel-Lefebvre recommended that Student continued to require one hour per week of speech therapy to address Student’s speech motor deficits and to continue with Ms. Buchwald’s one hour per week of speech therapy to address speech production. 36. For the 2009-2010 school year, the team offered Student a total of 120 minutes a week of speech and language services. The speech and language services to be provided as 40 minutes of small group instruction, 20 minutes of push-in collaboration with the special education and general education staff, and 60 minutes of co-treatment with the occupational therapist in a small group setting. Student’s parents, Advocate and speech providers disagreed with the frequency and duration of these services. Currently, District provided two hours of speech and language services through an NPA and Parents paid for an additional 120 minutes of private services (one hour from Speech Therapist Buchwald and one hour from Speech Therapist Pasquel-Lefebvre). Student requested that District pay for an additional 120 minutes of speech. 37. At the April 29, 2009, IEP meeting, Student’s current AAC and speech and language specialist Sasha Woodward reported to the IEP team on Student’s progress on using the Springboard Lite. She also discussed her April 29, 2009, written report, and Ms. Woodward emphasized that during Student’s speech production and AAC sessions, collaboration with her classroom teachers was essential to providing consistent, meaningful services. She reported that during the first few months that Student had the Springboard Lite, her AAC specialist provided teachers with action plans to give them specific vocabulary and phrases to target during certain activities. During push-in sessions, Student’s teacher received ongoing training in how to model the use of the Springboard Lite and prompt Student’s use of it. Based on her work with Student, Ms. Woodward wrote because Student continued to present with both expressive and receptive speech and language impairment, she continued to require individual speech and language therapy as well as AAC therapy to address her communication needs. 38. Speech Therapist/AAC Woodward reported that during the 2008-2009 school year, Student received one hour in class and one hour in a therapy room of augmentative communication therapy weekly funded by the District, and 1.5 hours of speech production therapy provided by two privately paid clinicians, in and out of the classroom. Ms. Woodward wrote that although Student improved in her speech production and now used individual sounds in spontaneous speech, she continued to have significant oral motor challenges evidenced by her weakness in muscle tone of the lips, tongue and cheeks and demonstrated decrease in oral awareness. Therapist Woodward concluded that further work in this area would focus on increasing Student’s awareness of oral musculature and movements. 39. Although Dr. McCord was unable to attend the IEP meeting, Ms. Camper presented Dr. McCord’s April 25, 2009, report. Dr. McCord, an AT/AAC Specialist, assessed Student and consulted with District on Student’s AAC needs, by working directly with Student and training her parents, teachers and para-educators on the Springboard Lite. She received a bachelor of arts in psychology from the University of California at Santa Cruz. She received her doctorate in education in 2003 from the University of California at Berkeley. From September 1993 to present, she has been employed by the Pajaro Valley Unified School District as an AT and AAC Specialist. From 1997 to the present, as an instructor at San Jose State University, she teaches current and future special education personnel how to work with students who have complex communication challenges. She has lectured at the University of California at Davis in AAC and in curriculum modifications at San Francisco State University. She holds credentials in special education, multiple subject teaching, and administrative services. 40. Dr. McCord reported that for two hours she observed Student use her Springboard Lite at ALLS during small group, whole group, and one-to-one activities. She described Student as an engaging, social five-year old, who was cooperative and appeared to be interested in communicating. Dr. McCord reported that the Springboard Lite was frequently in staff’s hands. Staff reported to Dr. McCord that Student primarily used it during structured time such as calendar and circle time. 41. In summary, Dr. McCord found that the Springboard Lite was a powerful tool for Student in the area of core vocabulary and with ample support and training Student would be able to learn to use it to communicate. Dr. McCord cautioned that the Springboard Lite had an initial steep learning curve for the user and the support partners. However, it does not require ongoing programming and modifying, and the training needs level off in time. 42. Dr. McCord’s report recommended that staff work with Student to encourage her to use the Springboard Lite, set up multiple communication opportunities every few minutes that can be responded to with the vocabulary on the main page, give her ample time to respond to questions, set up user areas for school and home, add vocabulary related to common classroom and home needs, teach her to create simple sentences, have the Springboard Lite available for her use at all times, and encourage her to use her language in conjunction with the Springboard Lite and gestures. She recommended staff attend training and use the Internet link to access teaching materials regarding the Springboard Lite. 43. At the April 29, 2009, IEP, District offered Student 60 minutes per month of consultation and support from Dr. McCord to provide systematic instruction and support for Student’s use of the Springboard Lite to increase her ability to independently and effectively communicate with peers and adults. Student’s Advocate asserted that Student required a speech and language therapist to work with her on the Springboard Lite. She also stated that 60 minutes per month of consultation would not meet Student’s needs because this was not enough time for an AT/AAC to work one-on-one with Student and to update the device as Student progressed. 44. At the April 29, 2009, IEP meeting, Catherine Buckman, Student’s private occupational therapist, reported the results of the Peabody Developmental Motor Scales, Second Edition, a standardized test of fine and gross motor skills. She administered the fine motor subtests, which test grasping and visual motor integration and found that at five years and 10 months, Student scored in the fifth percentile in grasping, in the second percentile in visual motor integration and in the first percentile in fine motor. However, Ms. Buckman noted that Student’s scores could not be considered standardized because Student required more verbal direction than allowed. 45. Ms. Buckman received a bachelor’s degree in psychology and education from Tulane University in 1992, and in 2000 she received a master’s degree in OT from the University of Southern California. From 1992 through 1997, she was a credentialed teacher in Louisiana and Maryland and taught kindergarten and second grade. From August 2000 through 2007, Ms. Buckman worked as a pediatric occupational therapist in several clinical settings including Scripps Hospital in Encinitas, California, and King’s Daughters Hospital in Norfolk, Virginia. In addition, she worked in outpatient clinical and school settings, at Children’s Hospital of San Diego and at the Los Angeles Unified School District, assessing students and participating in IEP meetings. In 2007, she was employed as a treating therapist and supervisor at ALLS. 46. Ms. Buckman informed the team that Student made good progress on her goals, including cutting, tracing, and building shoulder girdle and core strength for fine motor control. As to core strength, she reported that Student’s functional hand strength increased and at snack time she was able to hold most utensils, as well as open most snack/lunch containers. Ms. Buckman stated that Student’s good progress was demonstrated by her ability to fully access the playground and independently climb many of the structures. She reported to the team that during this past year, Student’s stability, fine motor skills and confidence improved. In her opinion, 60 minutes a week of individual occupational therapy and 30 minutes of co-treatment, delivering occupational therapy in conjunction with speech therapy, for the 2009-2010 school year was appropriate and would enable Student to access and benefit from her education. Ms. Buckman opined that Student would benefit from and respond well to co-treatment, because Student’s attention and focus had improved. 47. At the April 29, 2009, meeting, Ms. Buckman presented the report of Student’s occupational therapist Marnie Adamson. OT Adamson reported that Student made substantial progress on the following goals: cutting across a piece of paper on a thickened 6” line; using manipulatives (unfastening buttons, zipping, snaps) with minimal assistance in four out of five trials; and tracing six inches on a ¼” thick straight line, curved line and circle. Because of Student’s progress, Ms. Adamson recommended that Student continue to receive OT services one time a week, for 60 minutes per session for the 2009-2010 school year. 48. For the 2009-2010 school year, the IEP team offered Student 60 minutes a week of individual occupational therapy with an NPA and 30 minutes of co-treatment, delivering occupational therapy in conjunction with speech therapy. At the IEP meeting, neither Parents nor their Advocate voiced any concern about the frequency of this offer but they explained that the co-therapy may be problematic because of Student’s lack of focus. 49. At the April 29, 2009, IEP, the team offered Student placement in the Learning Center with daily inclusion in a general education kindergarten classroom for physical education, art, library science, music, lunch, recess and the afternoon kindergarten session. Alex Ruth is the Learning Center teacher. In 1994, he earned a bachelor of arts degree in history at Johnston University in Vermont. He earned his secondary and clear credential at San Francisco State University. Prior to his 10 years of teaching children with special needs, he worked as a social worker for adults with developmental disabilities. For the last four years, he has taught students with moderate to severe disabilities at District’s Oak Knoll School and then at the Learning Center. Because Mr. Ruth’s classroom is on a general education campus, his students have an opportunity to mainstream and work on social goals. His duties include coordinating services between the speech therapist and families, modifying curriculum, and monitoring and instructing staff. His testimony was credible and he has extensive experience in teaching students with special needs. 50. Mr. Ruth described his 2009-2010 class including the students’ disabilities, age and program. His students ranged in age from five to 14 years old. His class had eight students and five well-trained para-educators. Because the student-professional ratios in his class are low, he can modify the curriculum to meet his students’ needs. The para-educators are trained by District staff in student behavior and communication, and autism. He pairs his students with his para-educators for small school group instruction and, at times, he works one-on-one. He is able to work well with this divergent group because many of the students’ goals are similar, and similar to Student’s. 51. Mr. Ruth testified credibly that the divergent ages of his students was not problematic and this diversity worked very well. Students were mainstreamed about 30 to 40 percent of the day. He can work very well with students who are easily distracted because he has had training in how to deal with distractible students. He uses high-interest materials, assigns para-educators to work with distracted students, and works on what motivates different students. The classroom space is also conducive to teaching distractible students because there are whole partitions, moveable screens, and work areas. There are up to six partitions. The cubicle work areas are four feet wide and can comfortably accommodate two student desks. In addition, the room is self-contained with a kitchen, lunchroom area, and bathroom. The bathroom is particularly helpful to students, such as Student who are not potty-trained. Mr. Ruth opined that Student would benefit from this placement and it would meet Student’s unique needs. 52. District’s proposed placement included mainstreaming in Sidney Bienaime’s kindergarten class. Ms. Bienaime earned her bachelor of arts in history and social science in 2002 at the American University in Paris, France. She earned her master’s degree in curriculum and instruction at Notre Dame, Indiana. She earned a credential in multiple subjects. Ms. Bienaime testified that for several years she worked with Mr. Ruth and was very familiar with his teaching methods. In her opinion, Student would benefit from attending the Learning Center and mainstreaming. Mr. Ruth was a very effective teacher, and Student would have an opportunity to be with typical peers in Ms. Bienaime’s classroom. 53. Ms. Diane Mathews testified for District as an expert in inclusion and a program specialist. She received her bachelor of science in special education from the University of Illinois in 1972. She received a master of arts in education in June 1981 from San Diego State University. From August 2002 through the present, she has been employed by District as an inclusion specialist, severe disabilities specialist and behavior specialist. Since 2008, she has also been employed by the District as a program specialist. For over 35 years, Ms. Mathews has worked in the area of special education as a teacher, in preschool, elementary, middle school and high school, and as a professor at Boston College and San Diego State. She holds credentials in special education, multiple subject teaching, and administrative services. Her depth of training and experience, in conjunction with her detailed testimony, made her a credible witness. 54. Ms. Mathews is familiar with Student; she observed her for more than three hours in her preschool class at ALLS. She testified that she understood Student’s educational needs and recommended a full program to support Student’s language and pre-academic deficits and help her expressive language development. For the past five years, she has worked with Mr. Ruth, observing students in his class at least once a week. In her opinion, Mr. Ruth is an ideal teacher to work with Student, because of his excellent teaching skills and his ability to be flexible. Her opinion that the Learning Center was appropriate and designed to meet Student’s needs was credible and supported by other evidence. 55. Ms. Mathews explained that the Learning Center works well with a range of students from kindergarten to eighth grade. She testified that the range of student abilities is more important than age, and in the Learning Center, all students have similar abilities. Ms. Mathews asserted that it was better to have students stay in their community than to transport them to another district because it helps develop a sense of community and is more conducive to continuing friendships outside of school. In addition, she stated that Student would also benefit from being able to spend time in the kindergarten general education class because it provided a rich language and social environment. The students in the kindergarten class were supportive, inclusive and welcoming to students from the Learning Center. Ms. Mathews testified that Student should be with typical peers to help her develop expressive language. Although Program Specialist Mathews did not have formal AT/AAC training, she agreed to provide Student 60 minutes per week of additional support to implement and monitor Student’s AT/AAC services. 56. In response to the District’s offer at the April 29, 2009, IEP, Student’s Parents and Advocate expressed their concern about the Learning Center and Student’s problems with transitions. Parents also asserted that if Student attended the Learning Center, she would need more support in speech and language and assistive technology services. Because Student had significant deficits in speech and language and communication, and her qualifying disability was speech and language impairment, Student’s teacher should have had a speech and language credential. Mr. Ruth was not trained in speech and language and did not have a speech and language credential. 57. Mr. Ruth has a Preliminary Level I Education Specialist Instruction and Clear Level II Education Specialist Instruction credentials. These credentials authorize the holder to provide services in grades twelve and below, including preschool and specially designed academic instruction in English within the subject area and grade level authorization. The credential also authorizes the holder to provide instruction and related services to individuals with a primary disability of autism, moderate/severe mental retardation, deaf-blindness, serious emotional disturbance, and multiple disabilities. 58. Katherine Christopherson is a Human Resources Specialist for the District. She testified regarding the credential requirements mandated by the Commission on Teacher Credentialing. She testified that she was familiar with Alex Ruth’s credentials and that he holds a moderate–severe credential but does not hold a credential in speech and language impairment. She stated that a teacher is required to hold a certificate in speech and language if a student has a speech and language impairment disability. However, the IEP team may agree to waive this requirement if the teacher agrees to work in that area and a school does not have a credentialed speech and language teacher. 59. During the 2008-2009 school year, District placed and Student attended ALLS preschool. The founder of ALLS, Pamela Joy, founded ABS School for students in kindergarten through eighth grade. Both schools address a broad spectrum of special education needs, including students with dyslexia, speech and language, motor challenges, high-functioning autism, and gifted students who need a small classroom environment and sensory integration. Student’s preferred placement for the 2009-2010 school year was ABS. 60. ABS is a non-profit, non-public school providing multidisciplinary educational support to students with mild to moderate learning disabilities. No typical peers attend ABS. The classes are small and the school utilizes multidisciplinary, multi-sensory teaching approaches, including modified pacing and curriculum. For the 2009-2010 school year, Student attended the kindergarten class at ABS. 61. Susan Rose is the principal at ABS. She testified about Student’s program for the 2009-2010 school year and stated that at ABS Student had opportunities to mainstream with typical peers at recess at a public park near the school. In fact, she observed Student playing at the park in the sand with typical peers. 62. Ms. Rose testified that Student had problems with transitions. She stated that when Student transitioned to ABS, Student had no problem with the transition because it was a small class and she was familiar with her classmates. Ms. Rose stated that Student’s teacher Lynne Hartz does not hold a credential in speech and language. She confirmed that it is difficult to hire a speech and language therapist as a classroom teacher. In Ms. Rose’s opinion, Student does not require a teacher who is a speech therapist. 63. For the 2009-2010 school year, Parents paid to ABS $3,000 for Student’s tuition and they owed ABS $30,336. Father testified that the family incurred costs of $1,543 to transport Student to and from ABS during the 2009-2010 school year. 64. On May 21, 2009, District sent Parents a letter revising District’s offer and proposing to increase the service recommendations of the IEP team. District’s letter stated “to appropriately meet Student’s needs District revised its service recommendations regarding OT and speech therapy.” District wrote that it revised the IEP offer to address Parents’ concern about Student’s need for more intensive support related to her use of the Springboard Lite. The District proposed adding individual support from Program Specialist Mathews to implement and closely monitor the AAC strategies recommended by Dr. McCord. The District offered to provide Student with an additional 60 minutes per week of support from Program Specialist Mathews to help Student with the Springboard Lite and help her to develop her communication skills. 65. The letter also proposed an increase in speech and language and OT services to meet Student’s needs and to address Parents’ concerns about these service areas. The District’s revised offer included: 30 minutes of co-treatment services with the occupational therapist and speech and language specialist in a small group; 90 minutes of speech therapy per week (in a combination of individual and small group therapy sessions) and 20 minutes of in-class services that included collaboration among the speech therapist, the classroom teacher, the program specialist and special education staff. In addition, the District continued to offer 60 minutes per week of individual OT. 66. Parents and their Advocate testified that they did not receive the May 21, 2009, letter from the District by mail or e-mail until this Complaint was filed. Program Specialist Mathews testified that she placed this letter in an envelope with the IEP notes dated April 29, 2009, the IEP pages, “Offer of FAPE and Services” dated April 29, 2009, and Student’s Individualized Transition Book and followed District’s mailing procedures. She also testified that she sent the May 21, 2009, letter and IEP notes by e-mail and the e-mail was not returned as non-deliverable. Her testimony was persuasive. 67. Because Parents placed Student in ABS for the 2009-2010 school year, that had speech and language and occupational therapy as a part of Student’s program, Parents did not accept District’s offer of placement and services. Student’s Mother testified that they received the May 21, 2009, letter in January 2010. She stated that if she had received the letter in May 2009 with the additional services, she would not have changed her mind about District’s offer of FAPE. She would not have accepted District’s offer of placement in the Learning Center. Therefore, whether Student’s Parents or Advocate received the May 21, 2009, letter is not significant. 68. Speech Therapist Buchwald testified as Student’s expert in speech and language therapy. Her training and experience, in conjunction with her detailed testimony, made her a credible witness. Ms. Buchwald testified that from 2007 to the date of hearing, she provided Student with private speech and language services. When she met Student, Student’s speech was severely impacted. Student has made slow and steady progress from structured babbling to speech production to verbal gains. 69. Speech Therapist Buchwald confirmed that Student has apraxia, an inability to plan and execute motor movements for the reproduction of speech. She reported that during the formative years, ages 0-12, children with apraxia need intensive speech and language services, because repetition helps them to progress. Speech Therapist Buchwald recommended pull-out and push-in speech services so that Student would be able to practice her language in different settings. Speech Therapist Buchwald explained that she would drill Student for 25 minutes and then she accompanied Student into the classroom to reinforce the lesson. According to Speech Therapist Buchwald, Student has demonstrated that she has the intent to communicate. 70. In Speech Therapist Buchwald’s opinion, Student required intensive services in speech production and she recommended speech therapy to consist of four 45-minute pull-out and three 30-minute push-in speech and language service sessions per week. She emphasized that Student required consistent and repetitive speech and language drills so that she would be able to transfer the information she learned and develop speech patterns. She testified that Parents funded Student’s private speech and language therapy for the 2008-2009 school year. Pursuant to a Stay Put Order, District funded two hours of speech and language services for the 2009-2010 school year. Speech Therapist Buchwald sent District an invoice for $513 for nine speech and language services at $47 a session delivered in November and December 2009, but District has not paid this sum. 71. Ms. Dawn Edgren testified for District as an expert in speech and language pathology. She graduated from University of California Santa Barbara with a bachelor of arts degree in speech and hearing. She received a master of arts in speech pathology and audiology in 1974 from San Diego State University. From August 1975 to present, District employed Ms. Edgren as a speech and language pathologist for Laurel and Encinal Elementary schools. Her duties included: informal evaluation, parent training, formal assessment, IEP development, consultation with teachers and parents, and remediation of communication deficits. She collaborated with IEP teams to determine student eligibility for special education services. She has a restricted speech and hearing credential and earned a certificate of clinical competence in Speech and Language Pathology in April 1978. She is not a licensed speech and language pathologist because she has not completed the supervised hours required to be licensed. She can legally practice in a school setting without a license. 72. Ms. Edgren had limited knowledge about Student. She did not provide speech and language services to Student and she observed Student for a total of three hours: at ALLS in May and June of 2009; and at ABS on March 15, 2010. She did not speak to ALLS staff about Student and her progress. Ms. Edgren testified that during her career she has worked with students who have expressive and articulation deficits. She opined that 120 minutes of speech and language services a week is very intensive and the average speech and language student received 60 minutes per week (2 sessions of 30 minutes each) for articulation and 40 minutes per week (2 sessions of 20 minutes each) for speech. She provided speech and language services for about 50 students with apraxia and described their planning, sequencing and speech production problems. She reported that Student has apraxia and because of this she requires intensive individual speech and language therapy. In her opinion, District’s offer of 120 minutes of speech would meet Student’s intensive needs. However, Ms. Edgren admitted that ASHA recommended consistent and repetitive individual language therapy for apraxia at a minimum of three to five times a week and from 30 minutes to 60 minutes in duration. 73. In Ms. Edgren’s opinion, Student should be placed in Mr. Ruth’s class in the Learning Center, based on her observations of Student and her close work with Mr. Ruth. Student would fit very well into this class because she would have a lot of adult support, a variety of activities and the opportunity to mainstream. As the speech teacher who works with the occupational therapist, she found that co-teaching helps to improve motor and language skills. Ms. Edgren opined that Student would benefit from the 30-minute co-treatment. Ms. Edgren testified that Student would benefit from this class because she has a desire to communicate, and is extremely social with peers and adults. 74. In Ms. Edgren’s opinion, a speech and language therapist should work with Student and her Springboard Lite to formulate goals, train Student in a therapy session, and train others who work with Student. Student’s other teachers and providers would be able to help Student to work on her goals. 75. District also called Hannah Essenberg as an expert in speech and language pathology. She graduated from the University of California Berkeley with a bachelor of arts degree in linguistics. She received a master of arts degree in speech-language and audiology in 2006 from California State University at Hayward. From August 2005 through 2006, she interned in speech and language for the Palo Alto School District, the District, the Weingarten Oral School for the Deaf, and the Santa Clara Valley Medical Center. In 2007, she was a clinical fellow at the District, evaluating students under the supervision of a speech pathologist. From 2007 to the present, she has been employed as a speech and language pathologist at the District performing evaluations and providing student services. In 2008, she was licensed as a speech-language pathologist and she earned a certificate of clinical competence in Speech and Language Pathology in 2007. 76. She opined that apraxia is rare, and after reviewing Dr. Feldman’s report she agreed that Student has apraxia. She has worked with about 30 students with this speech impairment. In the spring of 2007, she provided Student with five or six speech and language sessions. At this time, she noted that Student’s language was limited to only five intelligible words. The next time Ms. Essenberg observed Student was almost three years later in March 2010. Ms. Essenberg observed Student playing outside and in a speech and language session at ABS. While playing outside, her language was very limited to only “no” and “yeah.” During the speech therapy session, she observed that Student was able to say about 13 more words, use a combination of gestures, such as pointing, sounds and word approximations. She observed that Student’s speech was more intelligible, and she was engaged with her therapist and not distracted. Ms. Essenberg noticed that Student was very social and tried to communicate with other students. In her opinion, District’s offer of 120 minutes of speech for the 2009-2010 school year was very appropriate, especially because District also offered her AAC services. However, she testified that ASHA recommended children with apraxia receive intensive services. 77. Ms. Essenberg testified that Student would do very well in Mr. Ruth’s class. Student’s communication skills would put her into the middle of the class. The students receive much support in speech and language and the co-therapy model was very effective. In addition, Student would have many opportunities to communicate with her typical peers because of the proposed mainstreaming into the kindergarten class. Ms. Essenberg opined that because Student was socially motivated she would benefit from the being with typical students. In her opinion, Student would also benefit from the co-teaching model with the speech therapist and the occupational therapist because she has sensory needs. 78. Speech Therapist Fletcher testified as an expert in speech and language and AAC. Her depth of training and experience, in conjunction with her detailed testimony, and work with Student made her a credible witness. 79. Speech Therapist Fletcher provided Student with speech therapy from January 2007 through June 2008, and she consulted with other providers from June 2008 through May 2009. When she met Student in 2006 in an ALLS class, she believed that Student needed other means of communication to improve her communication and her language skills. She credibly testified that she agreed with District’s offer of speech and language services for the 2007-2008 school year, but this was prior to Student’s use of the Springboard Lite. In February 2008, Therapist Fletcher assessed Student to determine her augmentative communication needs and explore different devices that Student would be able to use to replace the spoken word. She noted that for a few months prior to the assessment, the District had made different VOCA devices available to Student on a trial basis. 80. Speech Therapist Fletcher testified that for the 2008-2009 school year, Student required two hours of speech and two hours of augmentative services per week. Her recommendation was based on the fact that Student continued to require speech and language services for her apraxia and her severe language delays. Student required two hours of augmentative services to train Student, her teacher, her aide and her parents. Ms. Fletcher testified that at February 2008 IEP, she did not request more speech and language services because she focused on getting the District to acquire the Springboard Lite. District purchased the device for Student but Student did not receive it until May 2008. Ms. Fletcher stated that before the device could be used she was required to: customize the vocabulary and the buttons; prepare training plans for the teachers and train school staff and Student’s Parents. 81. Therapist Fletcher admitted that once she started working with Student on the Springboard Lite she realized that Student needed more support. She testified that Student needed a lot of help in the classroom to use the Springboard Lite and required less prompting when there are less distractions and she was working one-to-one. 82. Dr. McCord testified as District’s expert in AT and AAC. When Dr. McCord testified at hearing, she examined Student’s Springboard Lite so that it could be described for the record and Dr. McCord could explain how it was programmed. Dr. McCord stated that she had to look at the Springboard Lite carefully because she had not examined Student’s device. Dr. McCord testified that she is familiar with the Springboard Lite but has only worked with six students who used this device. 83. Dr. McCord testified she was not a speech therapist and explained that she was trained to work on core vocabulary and look at AAC from a research perspective. She also was trained by companies that sell equipment. In Dr. McCord’s opinion, one need not be a speech and language specialist to work on goals and training relating to AT/AAC. If staff learns how to use a device, it can be used. The language is programmed into the device and a specialist is not needed to do that. However, she admitted that the Springboard Lite has a steep learning curve for the user and the support partners. Dr. McCord trains staff in the use of AAC and generally the training lasts from 10-12 hours. 84. In Dr. McCord’s opinion, the goals proposed by the 2009 IEP team were appropriate because the daily support staff, and classroom teachers, should work with Student on the device. She concluded that the more people who work with Student on the Springboard Lite, the more opportunities Student would have to use it. When asked about the April 29, 2009, IEP team’s offer of 60 minutes a month of AAC, Dr. McCord thought it was enough. 85. Contrary to Dr. McCord’s opinion, Speech Therapist Fletcher opined that Student must have a speech and language therapist to work with her on the Springboard Lite and be able to reprogram it in order to address her communication needs. If Student attended the Learning Center placement, the speech and language and augmentative services must be intense, because the teacher did not have speech and language training, the aides had indeterminate training, and the class was larger. In her opinion, Student needed both speech and language services and augmentative language services to benefit from special education. Ms. Fletcher opined that Student would benefit from being with her typical peers, because they are good models for communication development. 86. Speech Therapist Fletcher admitted that while Student continued to attend ABS, new AT/AAC action plans did not have to be prepared for teachers and aides, and Student did not require two hours of AAC a week. She stressed that for the Student to make progress it is important that the Springboard Lite be modified as the needs of the Student changed. She definitively stated that an AT/AAC provider should be a speech and language therapist. 87. At the hearing, Student presented expert testimony from occupational therapist Buckman, who has provided OT services to Student since December 2007. Ms. Buckman’s experience and knowledgeable testimony made her a credible witness. Ms. Buckman testified that apraxia relates to speech and oral motor problems and 50 percent of those who have apraxia also have hypotonia, low muscle tone and weakness in the lower limbs. Hypotonia affected Student at school because it limits her endurance, interferes with her playground activity and affected her grip and grasp. Ms. Buckman reviewed Student’s April 2008 IEP and testified that it contained appropriate goals in occupational therapy. She opined that District’s offer for the 2008-2009 school year of 30 minutes a week individual services and 30 minutes a week of small group OT in class was appropriate for Student, enabling her to access and benefit from her education. 88. At hearing, Ms. Buckman opined that District’s offer for the 2009-2010 school year of 60 minutes a week of individual OT and 30 minutes of co-treatment delivering OT in conjunction with speech therapy was appropriate for Student, enabling her to access and benefit from her education. Ms. Buckman reported that because Student’s focus had improved she would respond well to co-treatment and this methodology should be tried. 89. Parents testified and providers confirmed that Parents had paid for private speech and language services for Student. However, Parents did not produce any invoices or receipts for the speech and language services to show what amount was paid or due to the providers. 90. Parents testified and providers confirmed that Student had received private occupational therapy services. However, Parents did not produce any invoices or receipts for the occupational therapy services to show what amount was paid or due to the providers. 1. In a special education administrative due process hearing, the party seeking relief has the burden of proving the essential elements of its claim. (Schaffer v. Weast (2005) 546 U.S. 49, 56-62 [126 S.Ct. 528, 163 L.Ed.2d 387].) In this matter, the Student has the burden of proof. 2. Student contends that she was denied a FAPE for the 2008-2009 school year because at the April 29, 2008, IEP, District did not offer Student: a) appropriate speech and language services; b) appropriate AT/AAC services; and c) appropriate OT. Student contends that she was denied a FAPE for the 2009-2010 school year because at the April 29, 2009, IEP meeting District did not offer Student: a) an appropriate placement; b) appropriate speech and language services; c) appropriate AT/AAC services; and (d) appropriate OT. Student contends that by District revising its offer for the 2009-2010 school year in a May 21, 2009, letter outside of an IEP meeting, Parents were denied meaningful participation in the IEP process. Student contends that she was denied a FAPE for the 2009-2010 school year because the May 21, 2009, letter revising District’s offer did not offer Student: a) an appropriate placement; b) appropriate speech and language services; c) appropriate AT/AAC services; and d) appropriate OT. Because Student’s contentions regarding the April 29, 2009, IEP and the May 21, 2009, letter relied on the same evidence and legal principles, they will be considered together. Specifically, Student contends that the evidence showed because of District’s failure to offer her a FAPE, she failed to make progress on her goals. 3. District contends that it offered and provided Student with appropriate levels of speech and language therapy, AT/AAC and OT in the proposed IEP of April 30, 2008, and provided Student a FAPE for the 2008-2009 school year. District also contends that it offered Student a FAPE for the 2009-2010 by way of the offer set forth in the IEP of April 29, 2009, as revised by the correspondence of May 21, 2009. In addition, District contends it offered Student appropriate placement in the least restrictive environment (LRE), and appropriate levels of speech therapy, AT/AAC services, and OT. Finally, District contends that there is no legal or evidentiary support to show that its written correspondence of May 21, 2009, that supplemented and revised the IEP team’s offer of April 29, 2009, constituted a procedural violation of Student’s rights. As to District’s failure to hold another IEP meeting in May to offer Student more intensive services, even if an IEP team meeting had been held, no agreement would have been reached. Finally, Student’s placement for the 2010-2011 school year is not at issue and would have to be determined at an IEP team meeting. 8. Student contends that District denied Student a FAPE in the April 29, 2009, IEP by offering inappropriate classroom placement. Respondents contend that their offer of placement was appropriate, and that Student has failed to meet her burden of proving that she was denied a FAPE. 9. As stated above in Legal Conclusions 5 and 6, the focus is on the adequacy of the District’s placement offer. A school district is not required to place a student in a program preferred by a parent, even if that program will result in greater educational benefit to the student. For a school district’s offer of special education services to a disabled pupil to constitute a FAPE under the IDEA, the educational services and/or placement must only be designed to meet the student’s unique needs, comport with the student’s IEP, and be reasonably calculated to provide the pupil with some educational benefit in the least restrictive environment. 13. Here, the evidence showed that District’s offer at the April 29, 2009, IEP of placement at the Learning Center with participation in the general education kindergarten classroom for physical education, art, library science, music, lunch recess, and afternoon was appropriate. District’s offer of placement would have given Student many opportunities to mainstream and be with typically developing students in the kindergarten classroom. Mr. Ruth, the Learning Center teacher, credibly testified that although his classroom had students that ranged in age from five to 14 years old, the student/professional staff ratio was favorable and he would be able to modify the curriculum to meet Student’s needs, work on Student’s goals, and provide one-to-one instruction and small group instruction through the well-trained para-educators. The room was also designed to minimize Student’s distractibility because the classroom would be divided into small cubicles with two desks. 14. The evidence showed that Student could not be educated in a general education environment. Student does not contend that the Learning Center, a SDC class was an inappropriate option on the continuum of program options, but contends that ABS an NPS, a more restrictive placement, was more appropriate. Then the LRE analysis required determining whether Student had been mainstreamed to the maximum extent appropriate in light of the continuum of program options. The evidence established that the ABS program preferred by Parents was a more restrictive placement with no typical peers. District was required to offer a placement designed to meet Student’s unique needs, comport with the student’s IEP, and be reasonably calculated to provide the pupil with some educational benefit in the least restrictive environment. The SDC placement complied with these requirements. 15. Both Student’s witnesses and District’s witnesses concluded that District’s offer of placement would provide Student with an educational benefit and would enable Student to make progress. Ms. Fletcher, Student’s speech therapist and AT/AAC expert, opined that Student would benefit from being with her typical peers, because they are good models for communication development. Ms. Essenberg testified that Student would do very well in Mr. Ruth’s class. Student’s communication skills would put her into the middle of the class. Student would have many opportunities to communicate with her typical peers because of the proposed mainstreaming into the kindergarten class. Ms. Essenberg opined that because Student was socially motivated, she would benefit from being with typical students. In her opinion, Student would also benefit from the co-teaching model with a speech therapist and an occupational therapist, because she has sensory needs. 16. 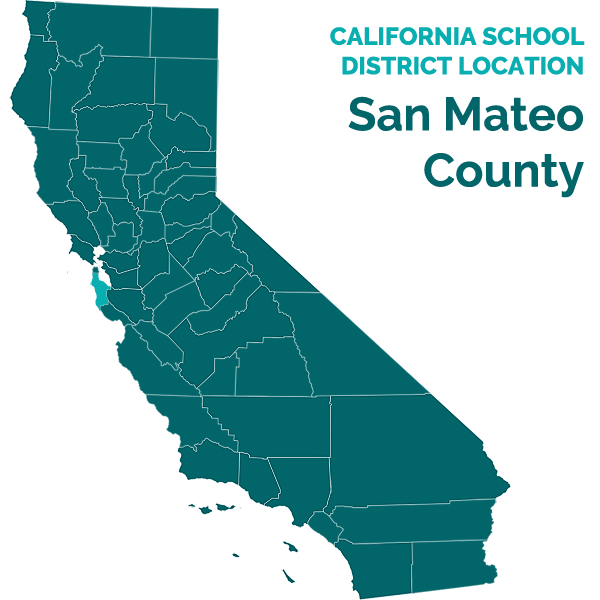 Parents complained that District’s proposed placement did not meet Student’s needs because the class had a wide range in students’ ages, a poor student-to-professional ratio, a teacher without a speech and language credential, and no speech and language emphasis. However, the evidence addressed Parents’ complaints. District presented credible evidence to show that the wide range in students’ ages would be addressed in the Learning Center by using small group instruction, modifying curriculum, and working on students’ similar goals through group activity. District also presented credible evidence that Mr. Ruth is very well qualified to teach this class and he does not have to hold a speech and language credential. District also established that Student would have enriched language opportunities because she would be mainstreamed. 17. As stated in Legal Conclusions 7-16, and Factual Findings 1-28, 49-63, 73 and 77, Student has failed to meet her burden of proving that District’s offer of placement for the 2009-2010 school year resulted in a denial of FAPE. 18. Student contends that District denied Student a FAPE in the April 30, 2008, and April 29, 2009, IEPs by failing to offer appropriate speech and language services. District contends that Student has failed to meet her burden of proving that she was denied a FAPE. 19. As stated above in Legal Conclusions 4 and 5, “related services” are developmental, corrective and supportive services as may be required to assist the child in benefiting from special education. “Related services” include speech-language pathology. A FAPE means special education and related services that are available to the child at no charge to the parent or guardian, meet state educational standards, and conform to the child’s IEP. The basic floor of opportunity provided by the IDEA consists of access to specialized instruction and related services which are individually designed to provide educational benefit to a child with special needs. 20. Student’s experts Ms. Fletcher and Ms. Buchwald and District’s experts Ms. Edgren and Ms. Essenberg agree that Student has childhood apraxia of speech, an inability to plan and to execute motor movements for the reproduction of speech. All the experts agree that Student requires intensive speech and language services to make progress. Ms. Buchwald elaborated that during the formative years, ages 0-12, children with apraxia need intensive speech and language services, because repetition helps an apraxic child to make progress. The controversy consists of the definition of intensive speech and language services (frequency and intensity); and what frequency and intensity Student needs to meet her unique needs. 21. District provided Student two hours of speech therapy during the 2007-2008 school year. The IEP team set goals for Student in communication and speech. Student’s speech therapist, Ms. Fletcher, worked with Student on her goals to increase her structured babbling and or word approximations, and work on articulation using maximum prompting. Student made slow progress in these areas. In April 2008, District provided Student a Springboard Lite. 22. At the IEP team meeting on April 20, 2008, the team offered Student two hours of individual speech and language services per week. The IEP team developed goals relating to the Springboard Lite as well as goals that focused on speech production. District did not offer any AAC services or any additional speech services to work on these new goals. The evidence showed that Ms. Fletcher concentrated on the goals relating to Student’s Springboard Lite. Parents paid for Student’s private speech and language services with Ms. Buchwald and Ms. Pasquel-Lefebvre to address Student’s language deficits, including apraxia and speech production. The evidence showed that because Student had new goals and severe needs in speech and language, District’s offer of only two hours of speech and language services would not address Student’s unique needs and enable her to access her education. 23. Ms. Fletcher’s credible testimony addressed the issue of Student’s speech and language needs at the April 2008 IEP. She was very familiar with Student and her needs because she provided speech and language and AT/AAC services for Student. She opined that prior to Student receiving the Springboard Lite in April 2008, Student required two hours of speech and language per week due to her significant speech delays. In addition, she credibly testified that Student required two hours of AT/AAC services per week to train Student, her teacher, her aides and her Parents in the use of the Springboard Lite. Before the Springboard Lite could be used, Ms. Fletcher was required to customize the vocabulary and the buttons, prepare training plans for the teachers, and train school staff and Student’s Parents. She also established that Student needs a lot of prompting in the classroom to use the Springboard Lite. 24. For the 2008-2009 school year, Ms. Buchwald’s testimony supported Ms. Fletcher’s recommendation that Student required two additional hours of speech and language services to access her education. Ms. Buchwald’s testimony was more persuasive than District’s experts because she had provided Student with speech and language services since 2007. Ms. Buchwald established that Student has made slow progress and she required more than the two hours of speech and language services offered by District. Both Ms. Fletcher and Ms. Buchwald established that as Student’s ability to communicate through vocalization and the use of the Springboard Lite improved her ability to focus and participate in classroom activities improved. Therefore, Student required two hours of speech and language services per week and two hours of AAC services per week during the 2008-2009 school year. 25. For the 2009-2010 school year, District offered placement at the Learning Center and a total of 120 minutes of speech and language services per week to consist of 40 minutes of small group instruction, 20 minutes of push-in collaboration with the special education and general education staff, and 60 minutes of co-treatment with the occupational therapist in a small group setting. After the April 2009 IEP meeting team offer, District sent the May 21, 2009, letter in which it continued to offer 120 minutes of speech therapy and offered 90 minutes of speech therapy per week composed of 70 minutes of direct therapy (a combination of individual and small group therapy sessions) and 20 minutes of in-class services, and 30 minutes of co-treatment services. The evidence established that because of Student’s unique needs in speech and language, frequent and intensive individual therapy is required for her to make progress, and District’s offer of 70 minutes of small group speech would not meet Student’s needs. Another factor to consider in determining the amount of individual speech and language services would be Student’s placement. If Student attended District’s proposed placement at the Learning Center, she would need more individual speech and language services because the ABS classroom is smaller and more homogenous, with only six kindergarten students. 26. In Ms. Buchwald’s opinion, Student would benefit from both pull-out and push-in speech services so that Student would practice her language in different settings and these services should be intense. In order to develop patterns of speech, Ms. Buchwald recommended weekly speech therapy services: four pull-out sessions of 45 minutes per week; and three push-in sessions of 30 minutes per week. Ms. Buchwald’s recommendation was based on Student’s apraxia and the ASHA guidelines. Treatment for apraxia was not necessarily commensurate with the intensity and duration of speech therapy that District was required to offer to Student to meet her educational needs. 27. Ms. Pasquel-Lefebvre’s thorough April 2009 report supported Ms Buchwald’s opinion that Student needed very intense services. She also reported that Student requires pull-out services and a significant amount of practice to develop functional speech skills. She opined that since beginning speech therapy Student’s progress is due to the intensity of this service and the collaboration of her classroom teacher, school district speech and language provider, private speech-language, and private occupational therapist. Ms. Pasquel-Lefebvre recommended that Student continued to require one hour per week of speech therapy to address Student’s speech motor deficits and to continue with Ms. Buchwald’s one hour per week of speech therapy to address speech production. Moreover, Ms. Pasquel-Lefebvre also established that as of April 2009, Student had not met speech and language goals that District had set in 2007. Ms. Pasquel-Lefebvre’s recommendation was based on Student’s lack of progress on her goals, and the importance of Student being able to communicate, participate and benefit from her special education. Ms. Pasquel-Lefebvre’s recommendation of two hours per week of individual therapy was necessary to meet Student’s unique needs. Therefore, District’s speech and language offer at the April 29, 2009, IEP as modified by the May 21, 2009, letter did not provide Student with a FAPE. 28. As stated in Legal Conclusions 4-5, 18-27 and Factual Findings 1-43, and 68-77 above, the failure of District to provide related services in the area of Student’s speech and language needs in the April 30, 2008, and April 29, 2009, IEPs resulted in the denial of a FAPE. 29. Student contends that District denied Student a FAPE in the April 30, 2008, and April 29, 2009, IEPs by failing to offer appropriate AT/AAC services. District contends that Student has failed to meet her burden of proving that she was denied a FAPE. 30. As stated above in Legal Conclusions 4 and 5, “related services” are developmental, corrective and supportive services as may be required to assist the child in benefiting from special education. A FAPE means special education and related services that are available to the child at no charge to the parent or guardian, meet state educational standards, and conform to the child’s IEP. The basic floor of opportunity provided by the IDEA consists of access to specialized instruction and related services which are individually designed to provide educational benefit to a child with special needs. 32. As stated in Legal Conclusions 21, 22 and 23, the evidence showed that for the 2008-2009 school year, District’s offer of only two hours of speech and language without any AAC services would not address Student’s unique needs and enable her to make progress. 33. Regarding the AT/AAC services, Student provided expert testimony from Ms. Fletcher, a speech and language therapist and AAC Specialist, and District provided expert testimony from Dr. McCord, an At/AAC Specialist. These expert witnesses presented two different perspectives on the type of support and the intensity and frequency of AAC services required to meet Student’s unique needs. Ms. Fletcher’s recommendations stem from her training as a speech and language therapist and Dr. McCord looks at these services as a technician and researcher. Dr. McCord does know Student well because she had not provided AT/AAC services to Student, and had only observed Student for two hours at ABS. When Dr. McCord testified at hearing and Student’s Springboard Lite was available, Dr. McCord spent some time looking at it and was not familiar with how it had been programmed. 34. Ms. Fletcher and Dr. McCord disagreed on two important issues regarding the 2009-2010 school year: whether District’s offer of 60 minutes of AT/AAC consultation/service per month and the additional 60 minutes per week of individual support from Program Specialist Mathews to implement and monitor AT/AAC strategies was designed to meet Student’s unique needs; and whether a speech and language therapist needed to provide AT/AAC services for Student. Because Ms. Fletcher provided Student with speech and language and AT/AAC services since 2007, she was very familiar with Student’s unique speech and language needs. Therefore, Ms. Fletcher’s testimony was more persuasive than Dr. McCord’s. 35. At the April 29, 2009, IEP, the team offered only 60 minutes of AAC services per month for the 2009-2010 school year. This offer was based on Dr. McCord’s recommendation. In District’s May 21, 2009, letter, the AAC service offer was revised to offer Student an additional hour a week of individual support from District Program Specialist Mathews to implement and monitor AT/AAC strategies. District’s revised AAC offer supports Student’s argument that she needed more intensive services in this area. Even District’s revised proposal did not meet Student’s severe communication needs because Ms. Mathews was not a speech therapist and not an AAC expert. 36. Ms. Fletcher provided credible testimony regarding the amount of AAC Student would require if she attended the Learning Center. During the 2009-2010 school year, while Student attended ABS, she required only one hour of AAC per week. Ms. Fletcher provides Student with 50 minutes a week of AAC services, in order to give Student direct instruction, and to consult with the classroom teachers. She stressed that for the Student to make progress it is important to modify the Springboard Lite as Student’s needs change. She credibly testified that 50 minutes a week would be enough time to confer with Student’s teacher and to support her use of the Springboard Lite. 37. Ms. Fletcher’s opinion that Student’s AAC provider should be a trained speech and language therapist was persuasive. Her opinion was supported by District’s speech and language expert, Ms. Edgren and her testimony. Ms. Fletcher opined that if Student attended the Learning Center, the speech and language and augmentative services must be intense because the classroom teacher did not have speech and language training, the aides have indeterminate training, and the class is larger. Student’s apraxia and intense needs required that her AAC have a background in speech development and communication. Significantly, during the 2008-2009 school year, District paid a speech and language therapist, Ms. Fletcher, to provide Student’s AAC services. In her opinion, Student required an AT/AAC provider who is a speech therapist to benefit from special education. 38. The evidence established that Student’s need for AAC services would increase if Student attended District’s placement at the Learning Center because the ABS classroom was smaller and more homogenous, with only six kindergarten students. In addition, Ms. Fletcher provided Student’s teacher and co-teacher at ABS, extensive AAC training, and Mr. Ruth and the para-educators at the Learning Center were not as well-trained. 39. As stated above in Legal Conclusions 4-7, 21-23, and 29-38 and Factual Findings 1-43, and 78-86, Student has met her burden of demonstrating that she was denied a FAPE because the April 30, 2008, and April 29, 2009, IEPs should have offered more intensive related AT/AAC services provided by a person with a background in speech and language. 40. Student contends that District denied Student a FAPE in the April 30, 2008, and April 29, 2009, IEPs by failing to offer an appropriate amount of OT. District contends that Student has failed to meet his burden of proving that he was denied a FAPE. 41. As stated above in Legal Conclusions 5 and 6, “related services” are developmental, corrective and supportive services as may be required to assist the child in benefiting from special education. “Related services” include OT. A FAPE means special education and related services that are available to the child at no charge to the parent or guardian, meet state educational standards, and conform to the child’s IEP. The basic floor of opportunity provided by the IDEA consists of access to specialized instruction and related services which are individually designed to provide educational benefit to a child with special needs. 42. For the 2008-2009 school year, Student received OT services from Ms. Adamson and Catherine Buckman, Student’s expert witness. Both reported that Student made substantial progress in her goals in fine, visual, and gross motor skills, and her postural control and balance. Both agreed that District’s offer for the 2008-2009 school year of 30 minutes a week individual and 30 minutes in class was appropriate for Student, enabling her to access and benefit from her education. Ms. Buckman testified that when she recommended 60 minutes of OT a week, she also considered Student’s placement at Arbor Bay. However, she did not recommend any additional OT time. 43. In Ms. Buckman’s opinion that District’s offer for the 2009-2010 school year of 60 minutes a week individual OT was appropriate for Student, enabling her to access and benefit from her education. In addition, District offered Student 30 minutes of co-treatment delivering OT in conjunction with speech therapy. Ms. Buckman reflected that because Student’s ability to focus had improved this methodology should be tried. Student’s expert established that District’s OT offer for the 2008-2009 and 2009-2010 school years met Student’s unique needs and Student made progress. Student did not present any witnesses or documentary evidence that contradicted this finding. Therefore, District provided appropriate related services in the area of OT in the April 30, 2008, and April 29, 2009, IEPs. 44. As stated above in Legal Conclusions 4-7, and 40-43, and Factual Findings 1-24, 44-48, and 78-86, Student has not met her burden of demonstrating that she was denied a FAPE because the April 30, 2008, and April 29, 2009, IEPs should have offered more intensive services OT. 45. Student contends that District’s May 21, 2009, letter revising its offer of services was a procedural violation because the team met without Parent present, affecting Parents’ right to participate in the IEP. District contends that the May 21, 2009, letter clarified and supplemented the IEP team’s offer at the April 30, 2009, meeting. 49. On April 29, 2009, District convened Student’s triennial and annual IEP. Parents’ and Student’s Advocate participated at the meeting. At the end of the meeting, Student’s Advocate stated that Parents wanted to visit the proposed placement at the Learning Center and Ms. Bienaime’s classroom. The evidence established that Parents fully participated in the April 29, 2009, IEP meeting and District did not convene another IEP meeting before it sent Parents the May 21, 2009, letter. The letter revised the April 2009 IEP offer by increasing the level of related services. If accepted this offer would have resulted in more related services for Student, a potential gain in educational benefits. The letter only addressed services offered by the District at the IEP meeting and did not purport to make any changes to Student’s eligibility, assessment data, or goals. 50. Here, Student failed to show that Parents’ opportunity to participate in the decision-making process was impeded and that it resulted in a loss of educational benefits or opportunity. Parents have a right to request an IEP meeting if they had any questions about the District’s revised offer. 51. As stated above in Legal Conclusions 4- 7, and 45-50, and Factual Findings 20-48 and 64-67, Student has not met her burden of demonstrating that District’s May 21, 2009, letter would constitute a procedural violation resulting in a violation of FAPE. 53. Student requested an Order for District to reimburse Parents for tuition and transportation to ABS for the 2009-2010 school year and the extended school year (ESY) and placement at ABS for the 2010-2011 school year. Student also requests an Order that Student should be provided with future speech and language, AT/AAC and OT services. 54. The evidence established that Student attended ABS for the 2009-2010 school year, Parents paid to ABS $3,000 for Student’s tuition and they owed ABS $30,336. Parents incurred costs of $1,543 to transport Student to and from ABS. Parents requested that District be ordered to reimburse Parents for tuition and transportation and to pay ABS the outstanding balance. However, because Student failed to demonstrate that the District offer of placement for the 2009-2010 school year was inappropriate; her claim for tuition and the cost of transportation fails. Therefore, Student is not entitled to reimbursement for tuition at ABS for the 2009-2010 school year and mileage to and from ABS. 55. The ALJ cannot determine placement for ESY and the 2010-2011 school year for Student’s first grade year. The issues and remedies in this matter are limited to those arising before the filing of the amended complaint given the due process notice requirements. (See Ed. Code, § 56502, subd. (i) [absent agreement to the contrary, issues at due process hearing limited to those raised in the request]. ) Therefore, Student’s placement for the 2010-2011 year is not an issue to be determined by this ALJ but by an IEP team. 56. Student prevailed on the issues that District did not provide Student a FAPE for the 2008-2009 and 2009-2010 school years because it did not provide sufficient speech and language services and AT/AAC services to meet Student’s unique needs. Parents would be entitled to reimbursement for their out of pocket payment for private speech and language services provided by Ms. Buchwald and Ms. Pasquel-Lefebvre and private OT provided by Ms. Buckman. Although, there was evidence that speech therapist Buchwald was an NPA and her rate for speech therapy was $114 an hour, Student did not provide evidence about the number of sessions Student attended and the amount Parents paid or Parents owe to this provider. In addition, Student did not present any evidence regarding payments due to other providers and/or reimbursement due to Parents. Therefore, Parents did not establish that they are entitled to reimbursement. 57. However, there was evidence that speech therapist Buchwald provided Student two hours a week of speech and language during the 2009-2010 school year. The evidence established that because District denied Student a FAPE, Student would be entitled to speech and language services during this period of time. The evidence also showed that because of a Stay Put Order, District contracted with Ms. Buchwald and District paid for these services. On January 19, 2010, Ms. Buchwald sent District an invoice for $513 (nine speech therapy services at $47 a session in November and December 2009), and that the invoice was not paid. District provided no evidence to the contrary. Ms. Buchwald was entitled to payment of $513 for speech therapy provided to Student. 58. Student requested an Order for future related services for speech and language, AT/AAC and OT. Here, Student has not demonstrated that the District must provide compensatory education or additional services to Student. Student’s request for an award for compensatory services must be “reasonably calculated to provide the educational benefits that likely would have accrued from special education services the school district should have supplied in the first place.” Student presented no evidence regarding compensatory speech and language and AT/AAC services. Therefore, Student is not entitled to compensatory education. 1. Within 45 days of the date of this Order, District shall pay occupational therapist Janet Buchwald $513.00. Education Code section 56507, subdivision (d), requires that this Decision indicate the extent to which each party prevailed on each issue heard and decided in this due process matter. Student prevailed on issues: 1(b) and 2(b) that District failed to provide appropriate Speech and Language services resulting in the denial of a FAPE for the 2008-2009 and 2009-2010 school years; and issues 1(c) and 2(c) that District failed to provide Student appropriate AT/AAC services resulting in the denial of a FAPE for the 2008-2009 and 2009-2010 school years. District prevailed on all other issues.